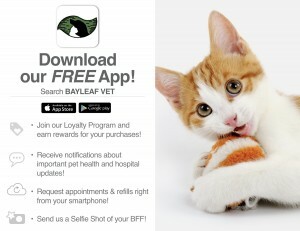 Bayleaf is excited to launch our FREE APP! It is available for download from the App Store for iPhones/iPads and the Google Play Store for Android. Simply search: Bayleaf Vet. This App is our way of thanking our loyal clients for their continued trust and support. The App is packed with useful functionality: you can request appointments, order products and prescription refills, keep track of appointments and reminders, and receive important notifications from the Bayleaf team. Even more exciting, our app features an early Christmas present for our clients; a loyalty program! Earn your first pawprint just for downloading our app! Then earn more pawprints every time you visit: fill up your card and earn $100 credit to spend however you want! It’s our way of rewarding our loyal clients. 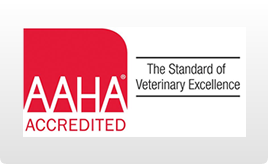 Thank you for giving your pets the best veterinary care. DOWNLOAD Our App and Start Saving Today! Important: Please use the same email address on file with Bayleaf when signing up for your App account. If the addresses match, the App will automatically sync with your pets’ medical records.